Kanav’s recent clients include foreign-based multinational corporations involved in multi-million dollar litigation in state and federal courts across the country. Kanav has experience with a wide variety of complex litigation involving products liability, hotel liability, and commercial disputes. Kanav’s product liability cases involve catastrophic property loss and/or personal injury related to various manufacturing and complex scientific technologies such as organic polymers. Kanav also advises non-U.S. based clients regarding various international procedural defenses applicable to U.S. litigation. Kanav graduated from The George Washington University Law School (LL.M. 2010, Litigation and Dispute Resolution), Michigan State University College of Law (J.D. 2009, Geoffrey Fieger Trial Practice Institute and Certificate in Intellectual Property), and Emory University (B.A. 2005, Major in Political Science and extensive course work in Biology). While in college, Kanav also worked as a researcher at the University of Pennsylvania working on pharmaceutical targets of cancer. Kanav is admitted to the Illinois bar and has also been admitted pro hac vice in various jurisdictions around the country. Kanav is a past board member of Generation Mirror, an organization devoted to promoting awareness about eating disorders. Currently, Kanav volunteers his time to various organizations promoting awareness of Indian American issues in the United States. Opposing roles for Akt1 and Akt2 in Rac/Pak signaling and cell migration..Zhou GL, Tucker DF, Bae SS, Bhatheja K, Birnbaum MJ, Field J. J Biol Chem. 2006 Nov 24;281(47):36443-53. Epub 2006 Oct 1. Schwann cells: origins and role in axonal maintenance and regeneration. Bhatheja K, Field J. Int J Biochem Cell Biol. 2006;38(12):1995-9. Epub 2006 May 27. Kanav works on a broad array of business and complex litigation matters that include claims involving product liability, breach of contract, breach of warranty, fraud/ financial fraud, negligence, unfair trade practices,defamation, and trademark/domain name infringement. Kanav was recently retained to defend a foreign company in a multi-million dollar product liability action involving the catastrophic collapse of a man-made structure. Kanav was recently retained by a foreign food processing machine company to defend against a multi-million dollar product liability claim alleging the company’s machine caused a catastrophic fire. Kanav recently obtained a multi-million dollar settlement for a foreign client in a corporate fraud action. Kanav was recently retained to defend a foreign home appliance company in a product liability case involving fires allegedly caused by the home appliance. Kanav secured a very favorable settlement for a model against a billion dollar company for using his image (misappropriation of likeness) without consent in the company’s advertisements. 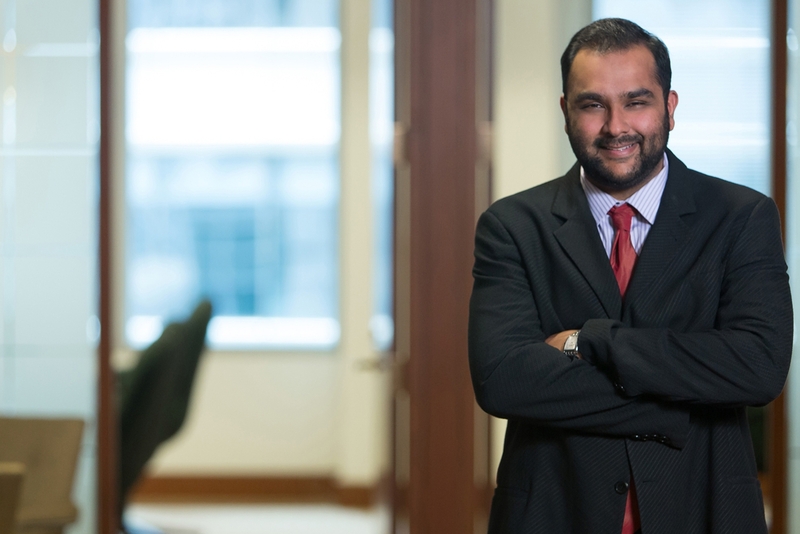 Kanav represented a world-famous foreign hotel chain in successfully acquiring domain names through UDRP arbitration from parties infringing upon its trademarks. As e-discovery becomes a prevalent aspect of complex litigation, Kanav also manages and organizes e-discovery protocols for cases involving a vast quantity of documents for multinational clients.